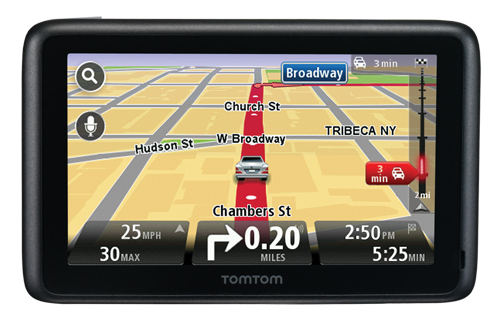 GPS maker TomTom has announced it is making its HD Traffic service available on all TomTom Live GPS systems available in the United States—rather than just on the Go 2535 Live model—and dropping the annual subscription price for Live services from $119.95 to $59.95 per year. In effect, that means the HD Traffic service is now available for the Go 740 Live and the XL 340 Live, and presumably for any future Live models the company brings to the U.S. market. The move is part of TomTom’s broader “traffic manifesto,” saying that if just 10 percent of U.S. drivers adopted TomTom’s HD Traffic service it would have a measurable impact on overall traffic congestion, making driving more pleasant for everybody. Like all GPS makers, TomTom is working to improve its value proposition for consumers as factory-installed in-vehicle navigation systems and smartphones take over tasks that, for several years, have traditionally been in the realm of dedicated GPS units. Whether TomTom can convince 10 percent of the U.S. driving public to sign up for its HD Traffic service remains to be seen.